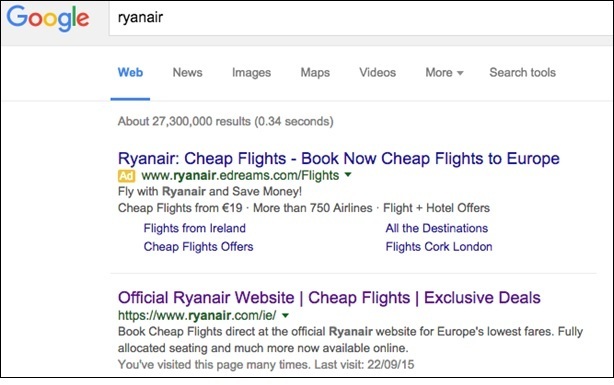 After many months of court battles and warnings of potential fraud, today RyanAir attacks eDreams over its Google advertising policy and has called on Google to enforce greater transparency on its online advertising following extensive complaints from Ryanair customers who have been misled into booking Ryanair flights on non-Ryanair websites, which are purposely designed to mislead customers. Google adwords is a bid based paid for advertising platform which appears above natural searches and is regularly used by advertisers to show first page search results. eDreams has created a URL called ryanair.edreams.com/flights which could mislead customers into thinking they are booking directly with Ryanair. eDreams is one of a number of “scraper” sites which use this practice. Many of these websites continue to cause problems for Ryanair customers by not passing on vital information to customers regarding issues such as flight changes, web check-in, special needs assistance and contact details, which has resulted in missed flights and repeated problems for Ryanair customers. 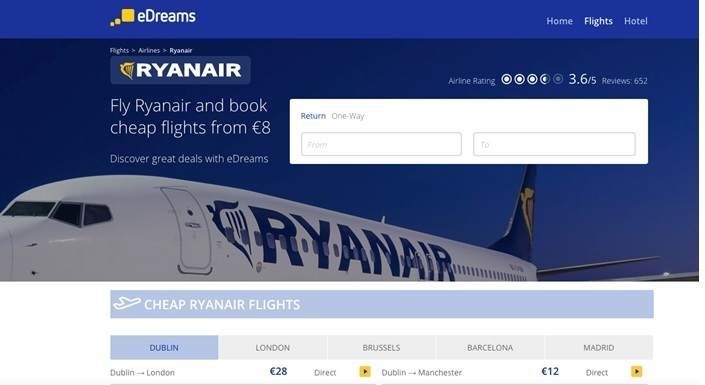 Recently the Court of Hamburg ruled eDreams has been using an unlawful subdomain and was misleading customers into thinking that it had an official partnership with Ryanair. Ryanair has called on Google to enforce greater transparency on its advertising rules, to prevent European customers being misled and overcharged. 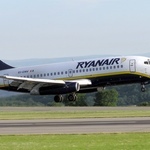 Ryanair Marketing Director Kenny Jacobs said: “As Europe’s largest airline, Ryanair has received numerous complaints from our customers who have inadvertently purchased Ryanair flights on the eDreams website, as a direct result of the misleading advertising provided by Google. eDreams has been unlawfully selling Ryanair flights, by masquerading as Ryanair.com, and then offering customers a substandard service, with additional fees, or by often selling fares that don’t even exist. While we have no issue with Google advertising in general, it is unfair that it is used as a mechanism to mislead customers. Customers end up paying more for their flights, thinking they’ve bought Ryanair flights with Ryanair, and often their contact details aren’t passed on, meaning they can’t be contacted if their flight changes, and they also have trouble checking-in online. 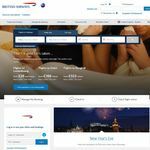 This is a particular problem for customers in the UK and Ireland.